This particular query also includes a aggregation (a stats agg on the "age" field). 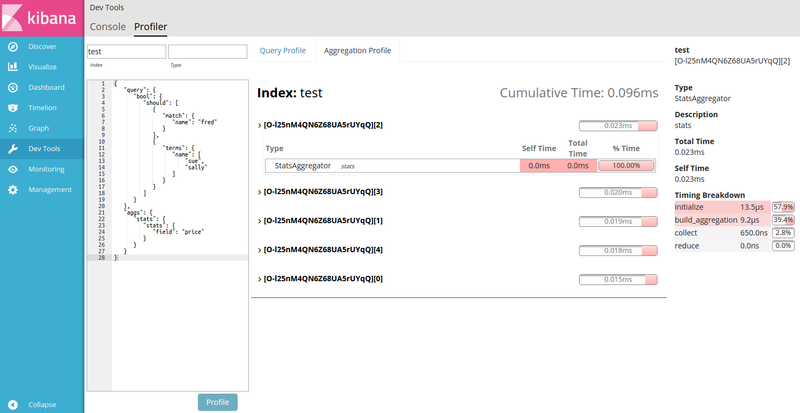 To view Aggregation profiling statistics, click the Aggregation Profile tab. This tab is only enabled if the query being profiled contains an aggregation. Click a shard’s Expand button to view the aggregation details. Hover over an aggregation row to view the timing breakdown.